Every new year brings a whole new set of design trends that are explored for as long as they remain popular. 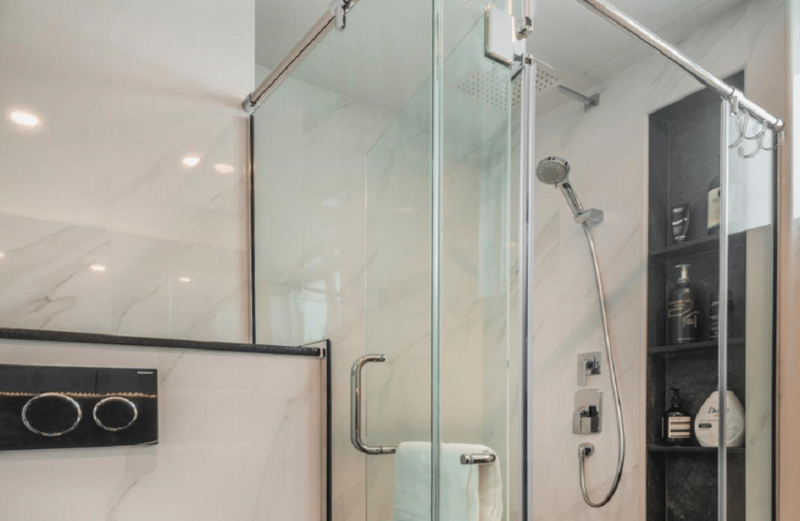 The bathroom is one of those spaces that is always undergoing evolution, so here’s a list of our top 5 bathroom design inspirations for 2019! Vanity sink fixtures have always been available in achromatic colours like black and white, but now you can have them in unique textures as well. While single-tone colours are always going to remain classics, you can emulate a distinct eclectic vibe in your bathrooms by choosing a sink that has very prominent colours or textures. You can even complement them with an unconventional tap fixture to have a larger impact! The upgrade from typical to wall-mount WCs have been a gradual one. It’s a high-tech fixture that comes with various unique functions depending on the brand name. 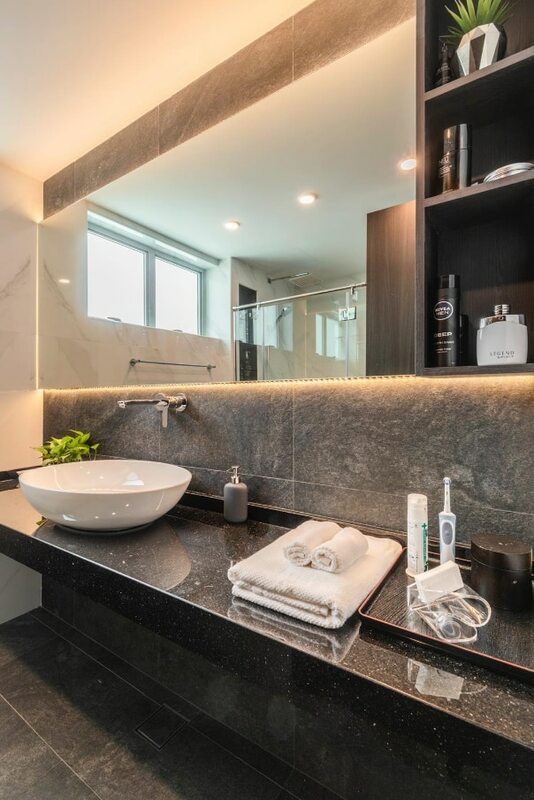 However, one thing that remains in common for every single one of them is the sleek, modern, aesthetic that can make any bathroom seem very up-to-date and fashionable. This is definitely a trend that you need to follow in 2019! 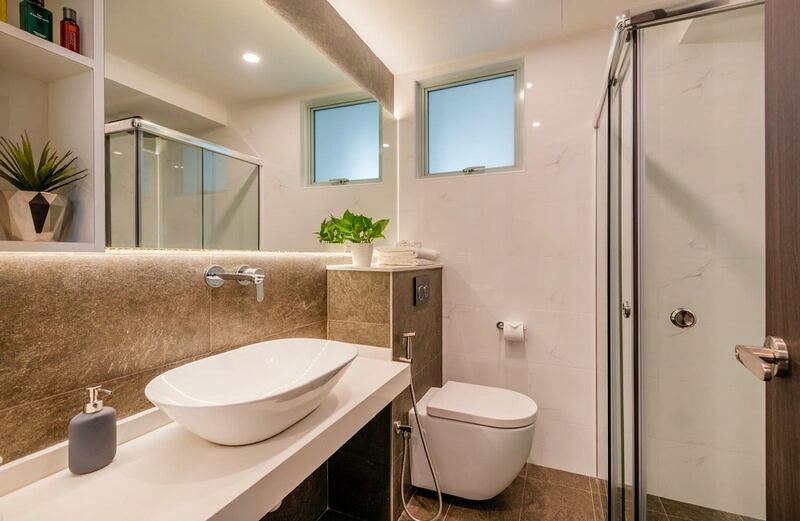 To make the smaller bathrooms feel larger, installing feature length mirrors is something that’s becoming very popular. Many such designs are even customized and have sliding mirror doors that hide large cabinets behind the leaves. Others have simple and slender open shelves installed on the side to store all the bathroom essentials and keep them within handy reach. 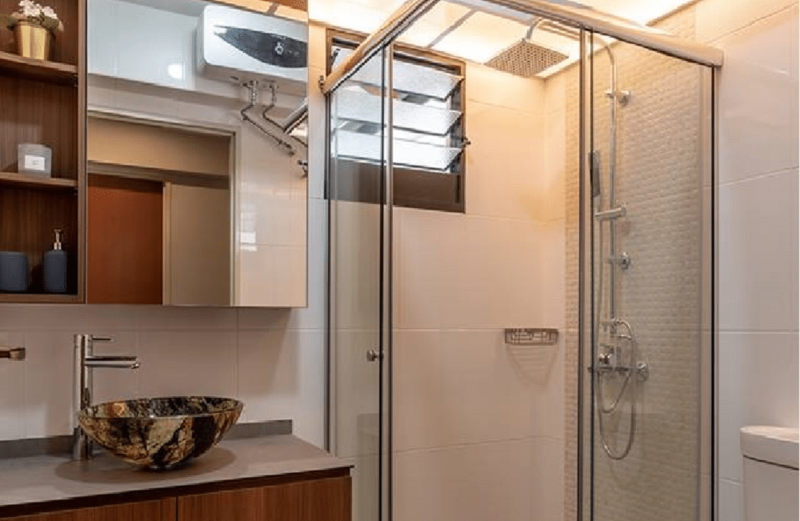 Another popular bathroom design trend includes shower niches. These include a tall recess in the shower stall that is divided into several shelves. 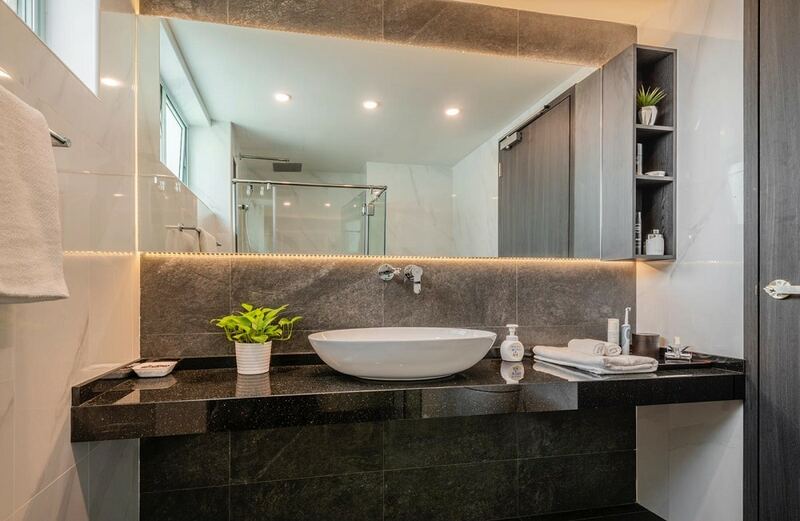 They’re usually donned with a highly contrasting tile cladding that complements the rest of the bathroom ambiance. Some are even installed with recessed lights under the shelves. They’re quite handy – especially if you’re a collector of bath accessories. Have you ever noticed the amount of stuff you have to cram at the sink-side to get on with your daily rituals? Well, this need for more space has resulted in the new trend of long vanity countertops. This is to put lots of accessories easily in one space – trays, towels, toothbrushes., etc. They look quite attractive, and have the ability to make any bathroom seem luxurious.